This tour was canceled – We are very sorry for this inconvenience ! 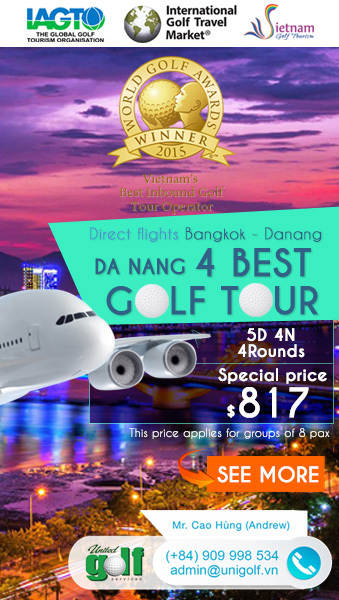 Let’s discover Vietnam spectacular beauty via UniGolf new golf tour: Seaplane golf tour Da Lat-Ho Chi Minh 2 days 1 nights. 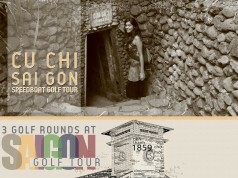 UniGolf proudly present to all golfers, their newest golf tour: Seaplane golf tour Da Lat-Ho Chi Minh 2 days 1 nights. 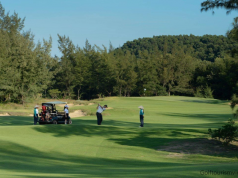 Depart on every weekends, the tour will offer you a chance to see and embrace the beauty of Vietnam via Seaplane as well as playing at 2 biggest golf courses of Da Lat : Dalat Palace Golf Club & Sacom Tuyền Lâm Golf Course. 2 days 1 night at 5-stars Dalat Palace Hotel will make your tour even more comfortable and relaxing. Travel to Da Lat via seaplane and having a chance to enjoy Vietnam scenic beauty from height will be a lifetime experience for everyone, even people who frequently travel by plane. Dalat Palace Golf Club underwent a multi-million dollar re-development in 1994, re-opening amid much anticipation. Its long list of awards speaks to its pedigree and our team of internationally trained and experienced Golf Professionals ensure a course of world standard at the forefront of the industry. 5-stars Dalat Palace Hotel proposes 39 rooms, 5 suites. They are pleasantly completed by a gastronomic restaurant, a brewery, a piano bar, the Larry’s Bar and 7 meeting rooms for up to 300 people. The Palace is splendorous creation of the French colonial indo chicness of the golden twenties, complimented with Edwardian and art deco design elements. 7h00 – 7h45: car will transport you to Da Lat Palace Golf Hotel. Free night for Da Lat exploring. 6h00 – 7h30: guest will have breakfast then check out. 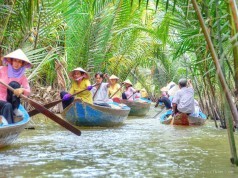 Car will transport guest to Sacom Tuyền Lâm Golf Course. 8h00-13h00: Play 1 round golf 18-holes Sacom Tuyền Lâm Golf Course. 13h00 – 14h30: Have lunch at the course then head back to the airport. 16h00 – 15h00: Plane arrive at TSN airport finishing the tour. 1 night at Dalat Palace Hotel – single room with breakfast. Car for transferring from and to hotel – golf course – airport. *Tour is for minimum 8 golfers. Airport check-in 15 minutes before fly. 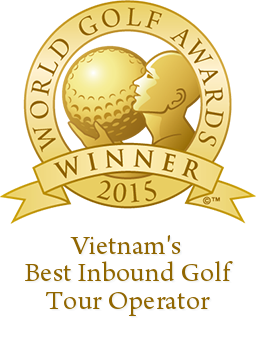 Thanks for finally talking about >Seaplane golf tour Dalat – Ho Chi Minh City 2 days 1 night <Loved it!